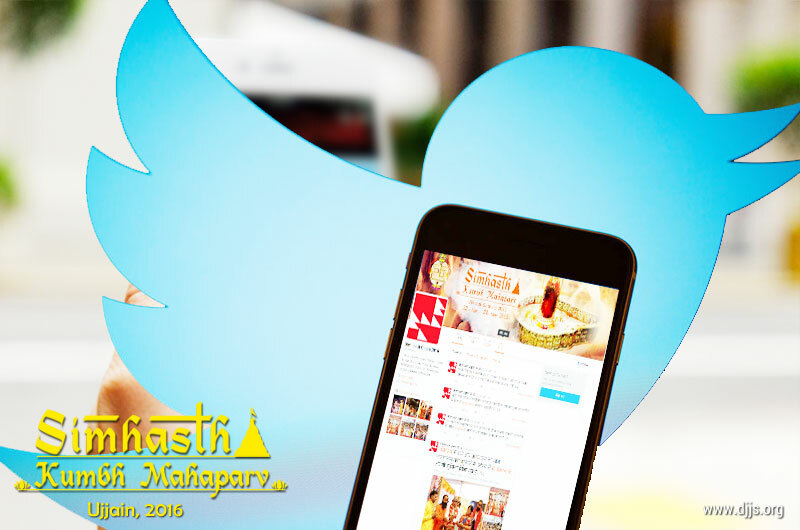 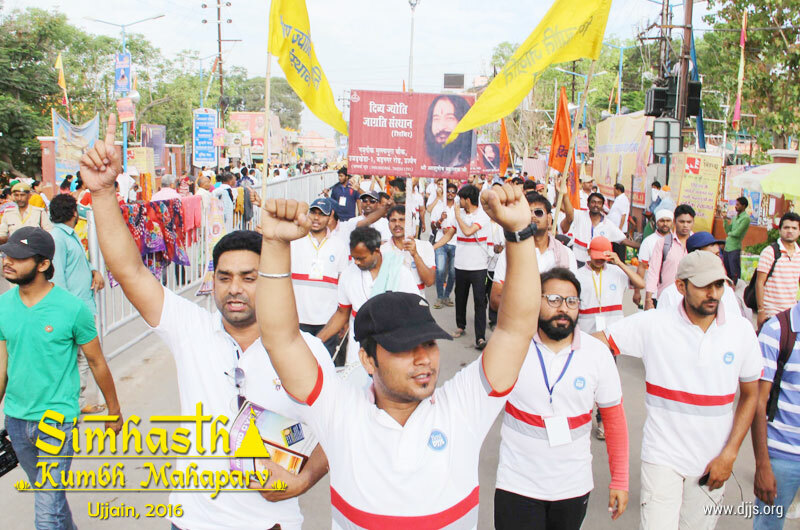 Let's join our hands for highest goal of world peace from April 22nd-May 21st, 2016. 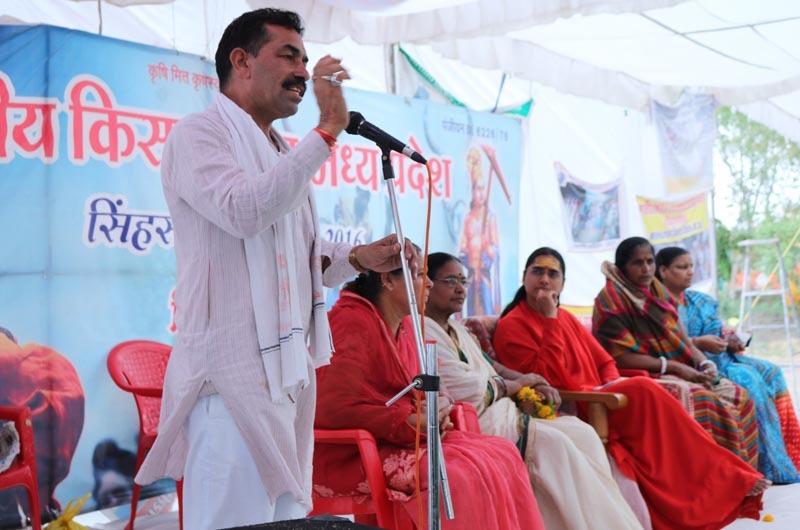 After coming here, I felt that society, India and in turn world's foundations are getting built here. 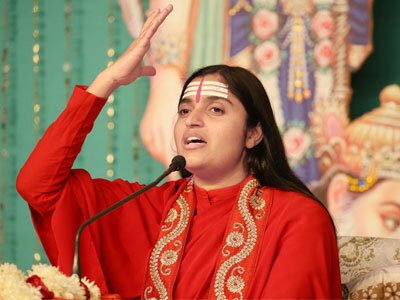 I am so thankful to my inner world which helped me to commune with SELF, the Lord. 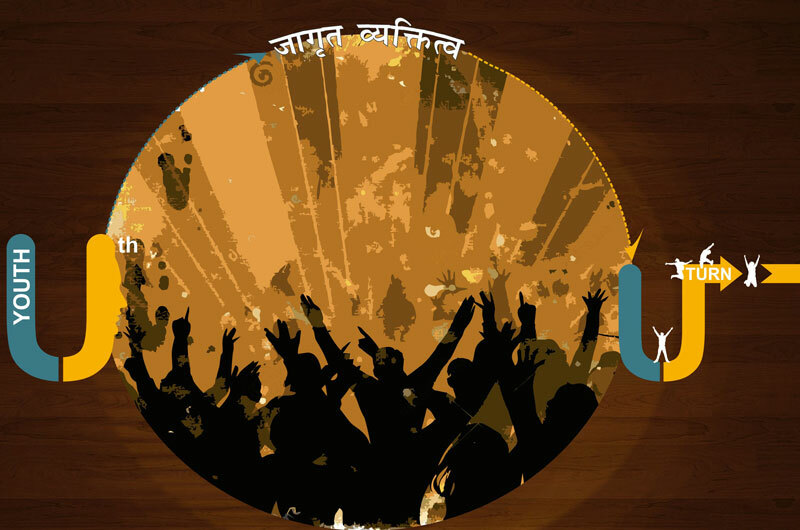 For the youth of the country, if any organization can give the right path and direction, that's DJJS. 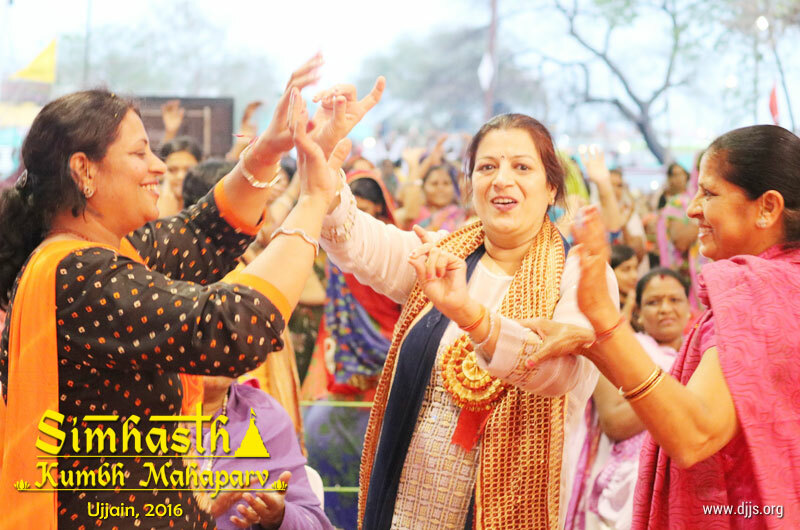 I can say that DJJS can contribute effectively as an ideal organization for the youth of today so that right foundation can build in. 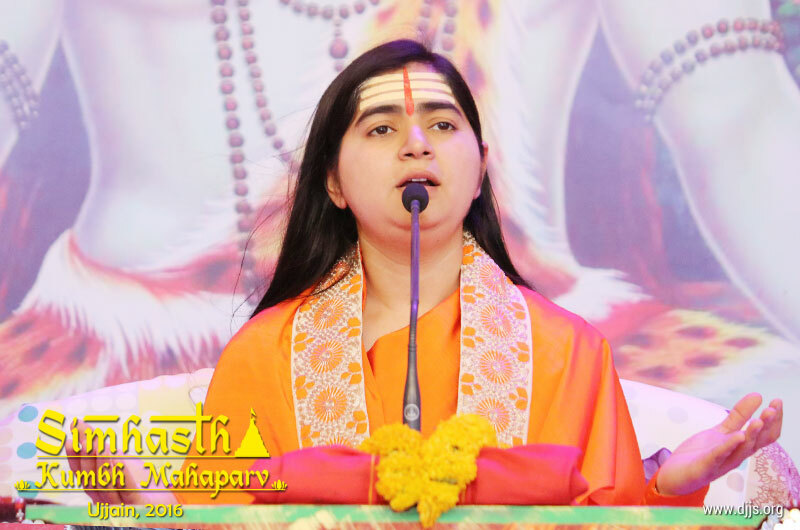 DJJS is an organization which is helping youth to connect with India's culture and spirituality. 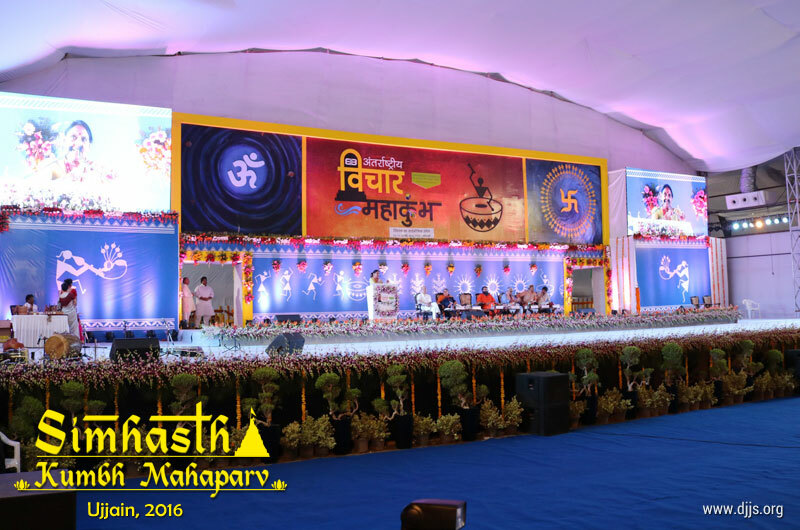 Through Simhasth Mahakumbh Mahaparv, it is shown by the youth what a difference right direction, culture and tradition can make. 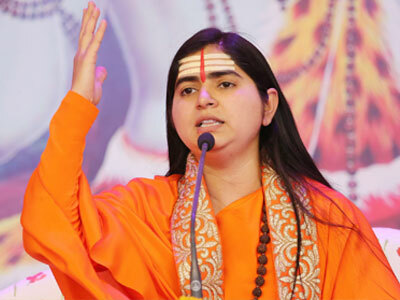 They have shown how culture of India is showing the direction to the world. 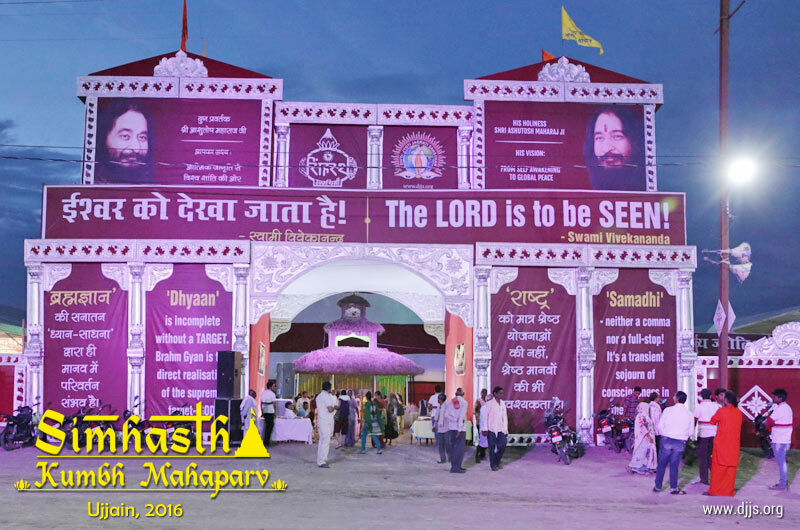 We have been roaming around in different camps but the kind of activities taking place in DJJS camp is outstanding. 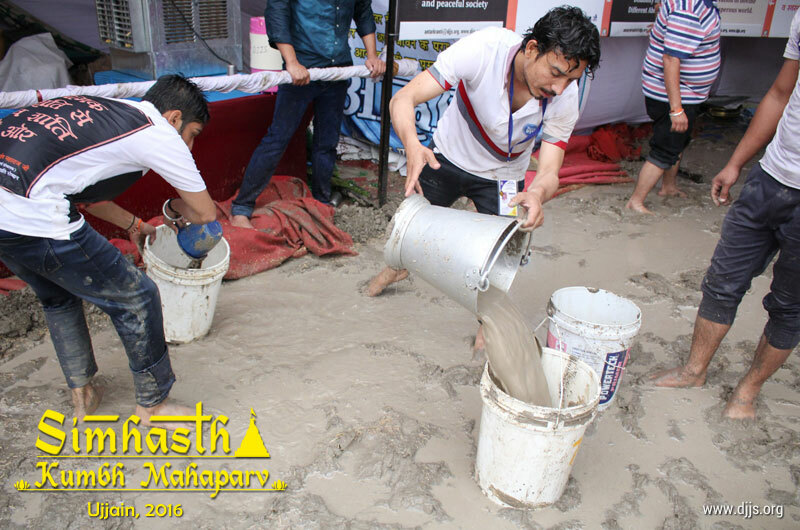 After seeing the activities centered on humanity, I had an outstanding feeling, something what has never happened before. 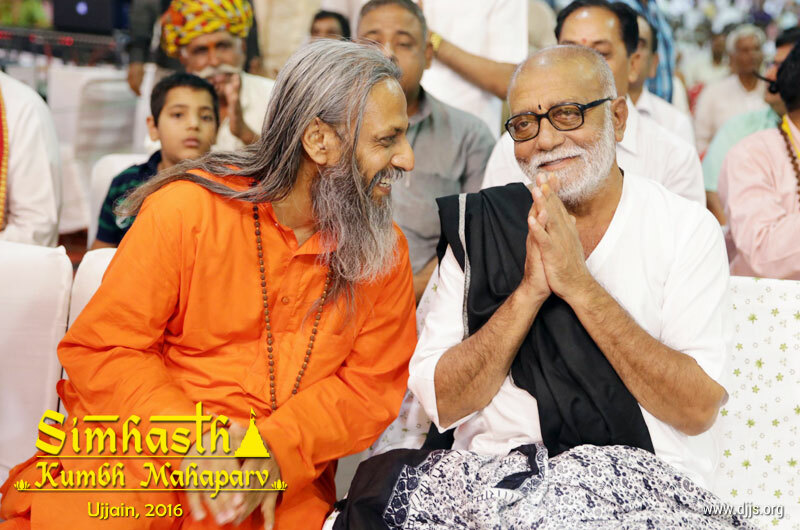 I sincerely wish DJJS all the best since they have the potential to transform the world. 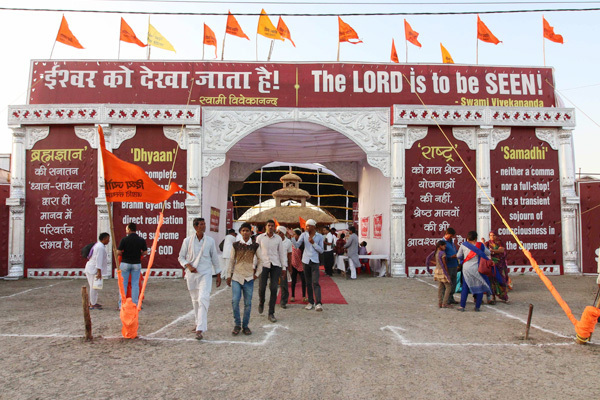 I will also make an earnest request to open a branch of DJJS in Ujjain so that humanity can get constant inspiration and motivation at all the levels. 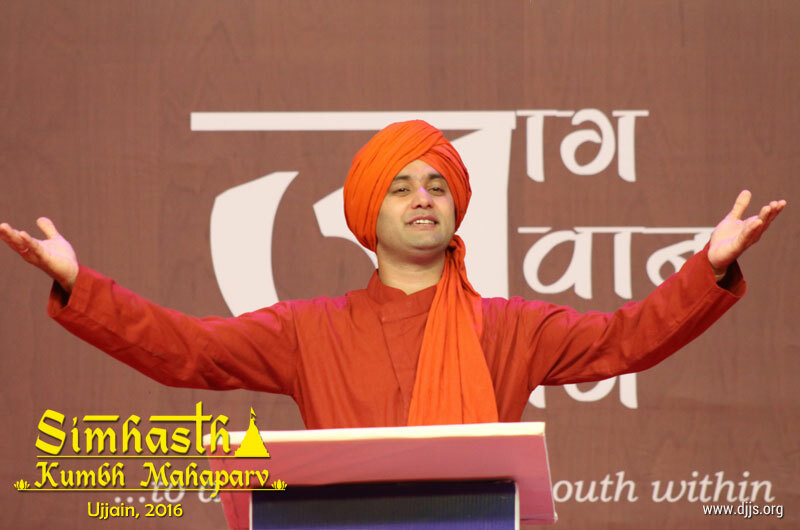 I was grateful to see that there is a movement for young people to awaken them to spirituality. 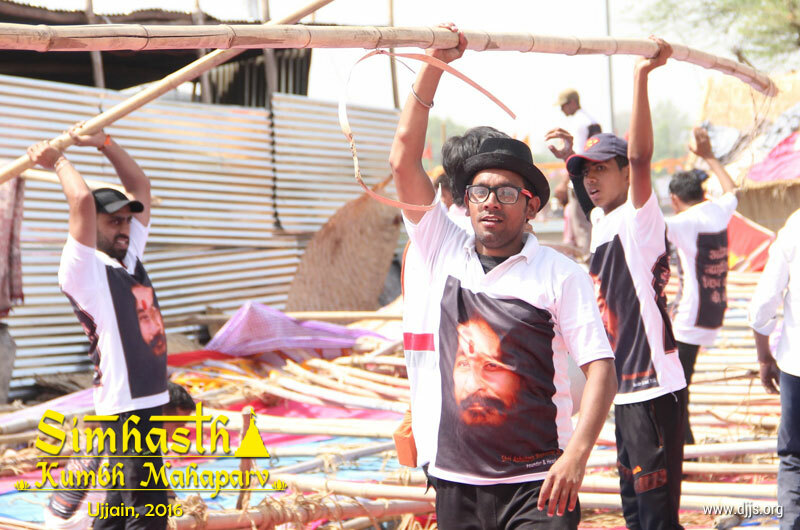 Here people are finding pride and patriotism in the wisdom, in the knowledge and in their culture. 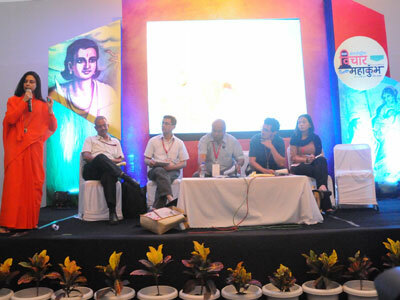 If people are able to grab that then it is not only going to enrich them but enrich the country in a whole. 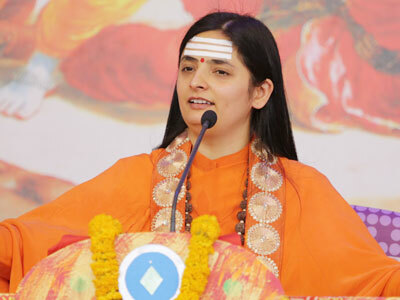 I think that's an important message to give. 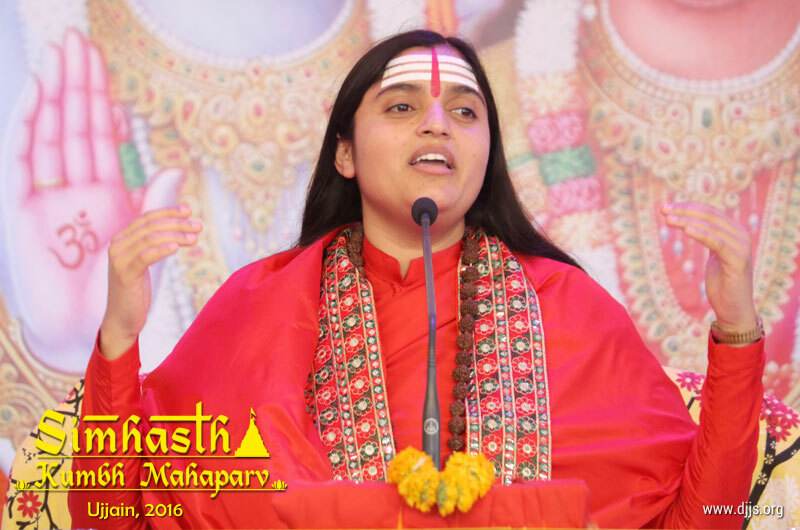 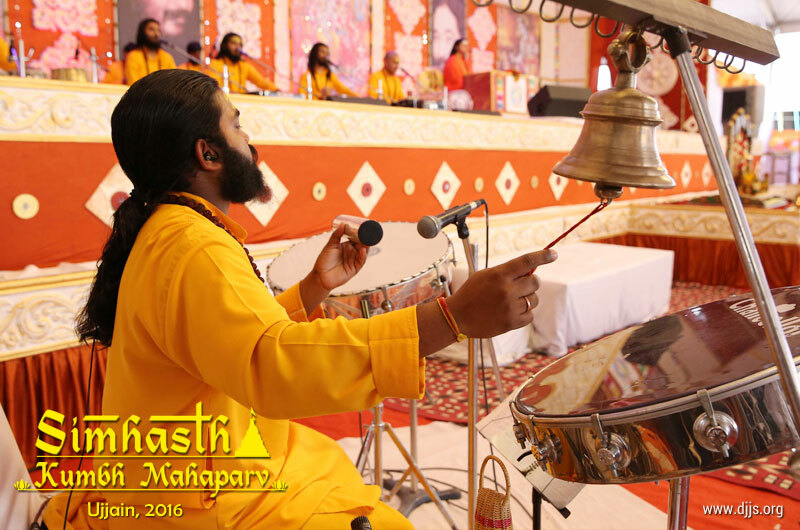 Accrue merit by offering your selfless contribution in this Mega-Yajna. 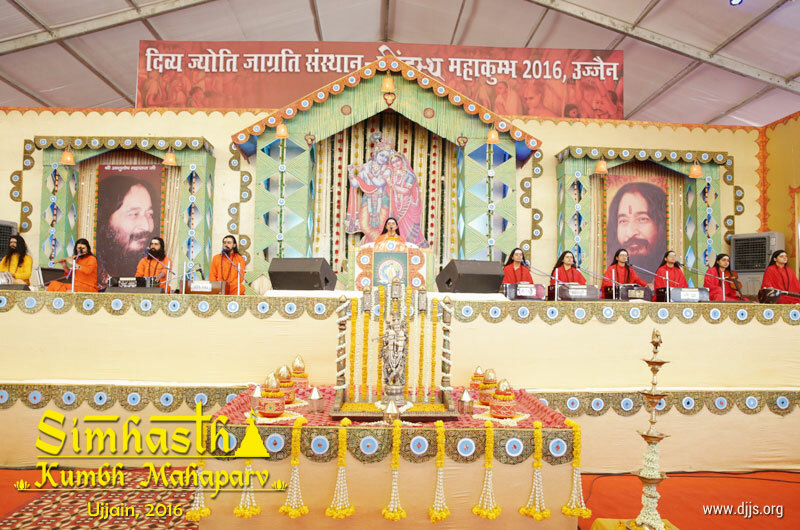 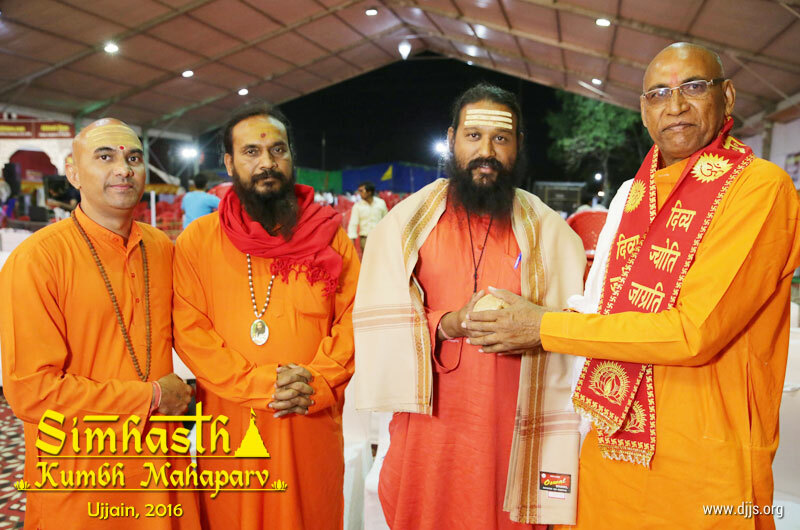 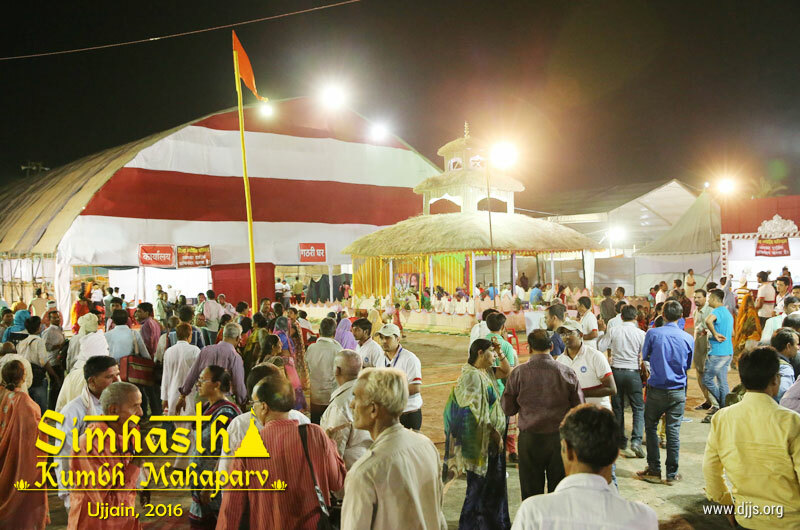 Simhasth Mahakumbh Mahaparv concluded with full grandeur and lot of positive energy, vibrations, take away, awakening etc. 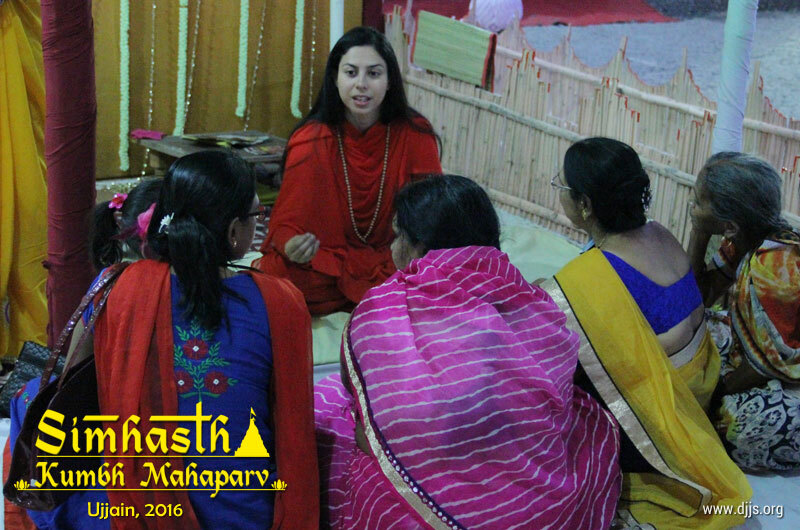 Every day in-depth individual counseling sessions quenched the thirst of inquirers. 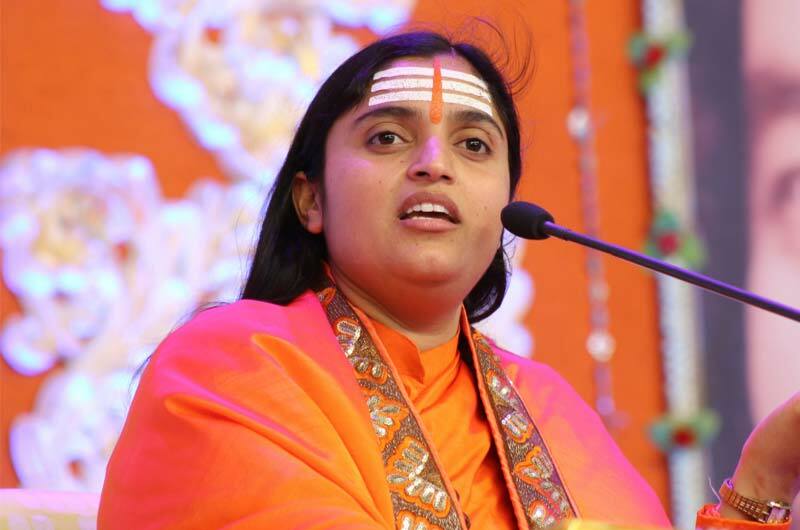 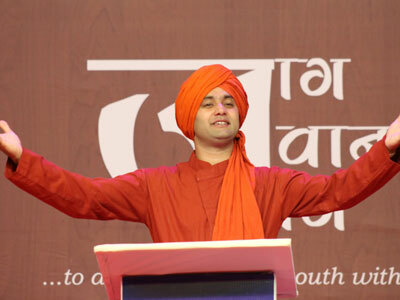 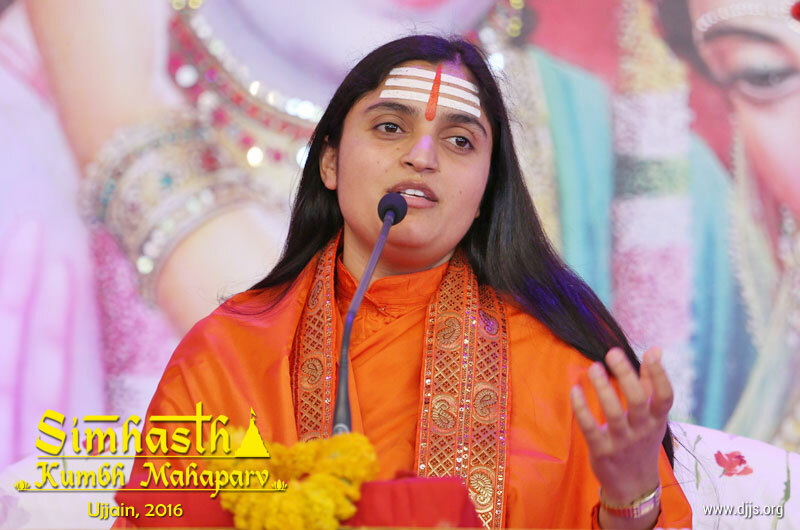 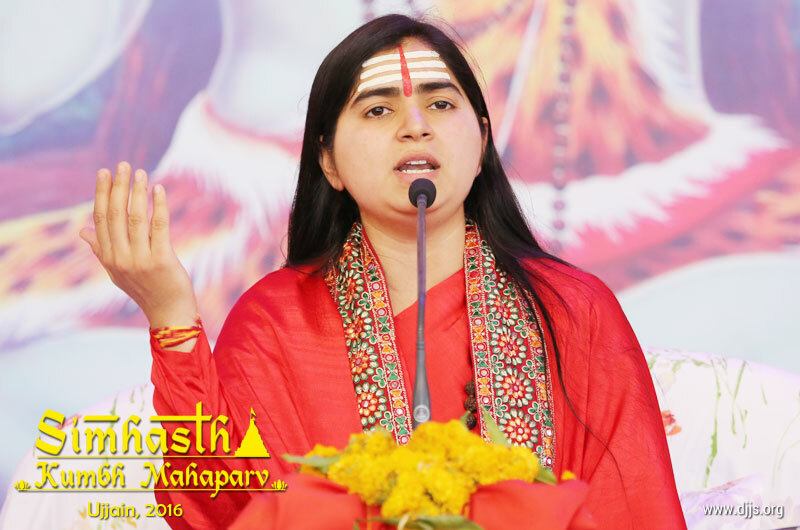 Preachers of Divya Jyoti Jagrati Sansthan dedicated for the noble cause of serving the mankind, counseled people effortlessly and tirelessly on the spiritual queries like Lord’s actions, relevance of the same in contemporary times, need of a ‘Guru’, purpose of mortal life, duties, responsibilities while treading on the path of spirituality, striking balance between family and spiritual life etc. 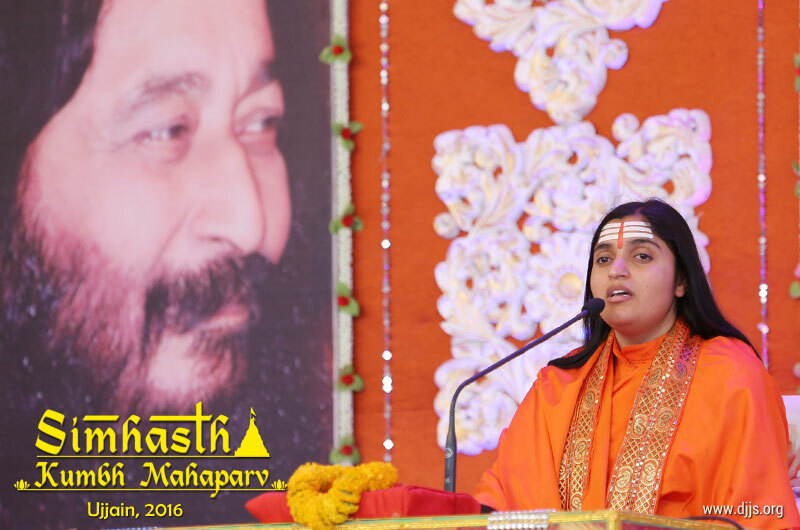 Queries were many and each one was resolved with proper solution based on the technique of ‘Brahm Gyan’. 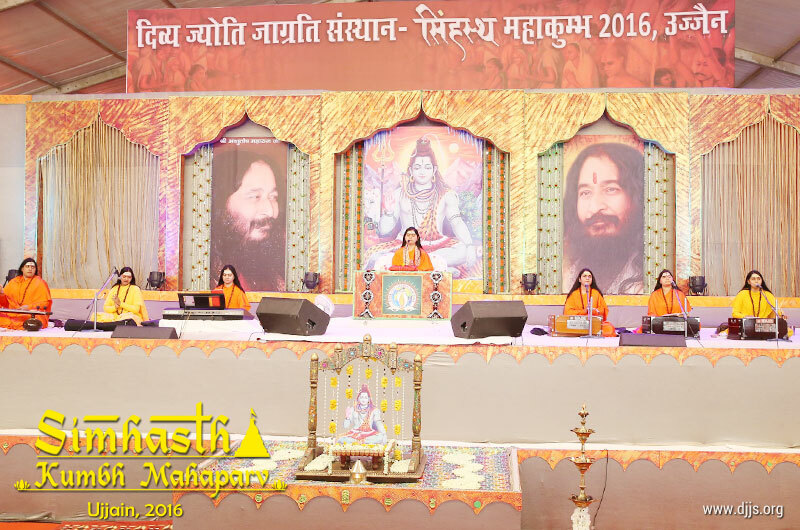 Television Media enthusiastically listened and imbibed the essence of events organized by Divya Jyoti Jagrati Sansthan. 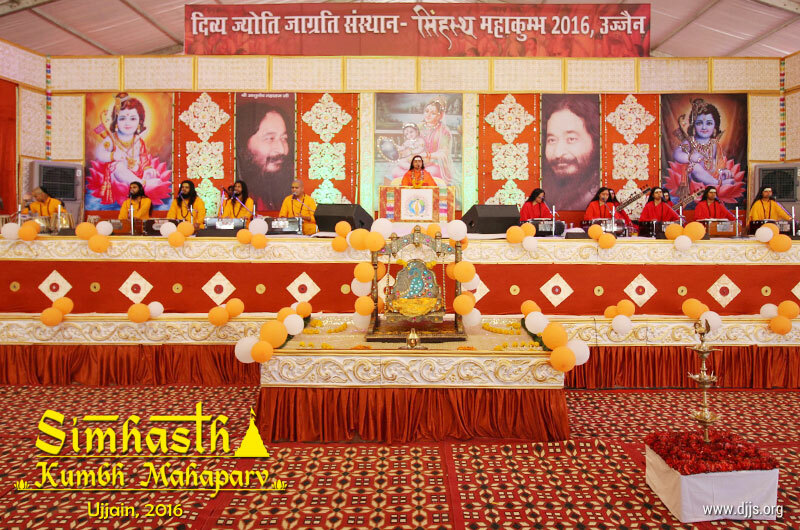 Whether they are tri-series Kathas, Yoga camps, stalls or exhibition on social projects, the broadcasters understood the underlying philosophy and mission of the organization before presenting it to the World. 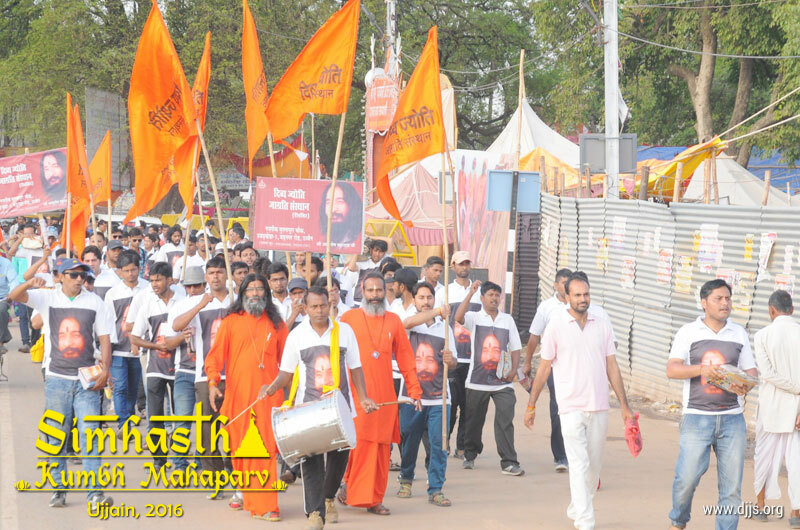 Various media networks present at the event like News Nation, DD News, News World, India News etc. 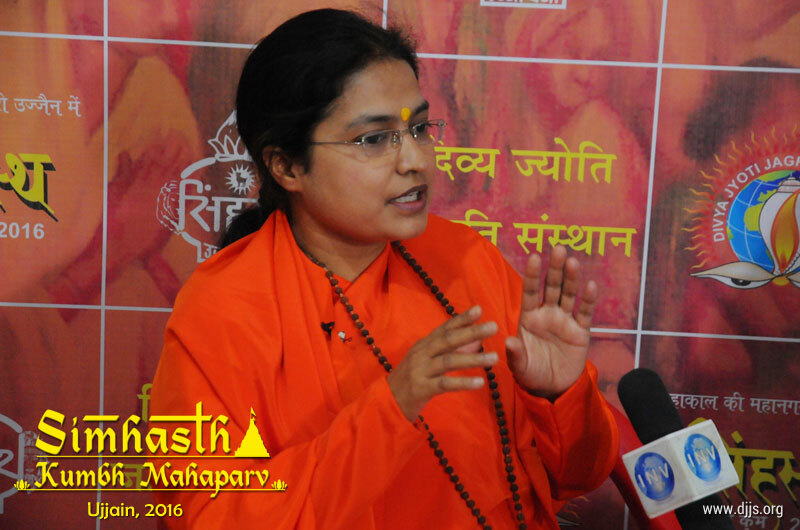 interviewed the DJJS preacher disciples’ and broadcasted their views to the nation. 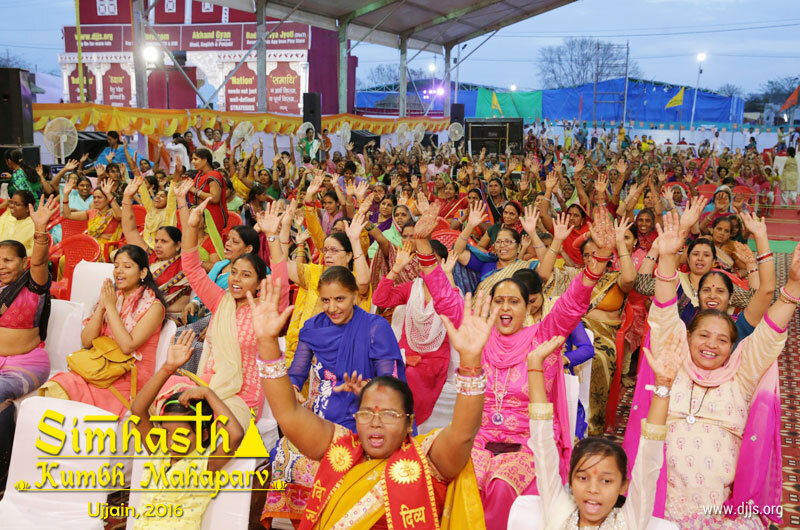 Media went beyond the superficial information and thoroughly researched and interviewed people, preachers, disciples and organizers to understand the need to participate in the forum, mission and vision of the organization. 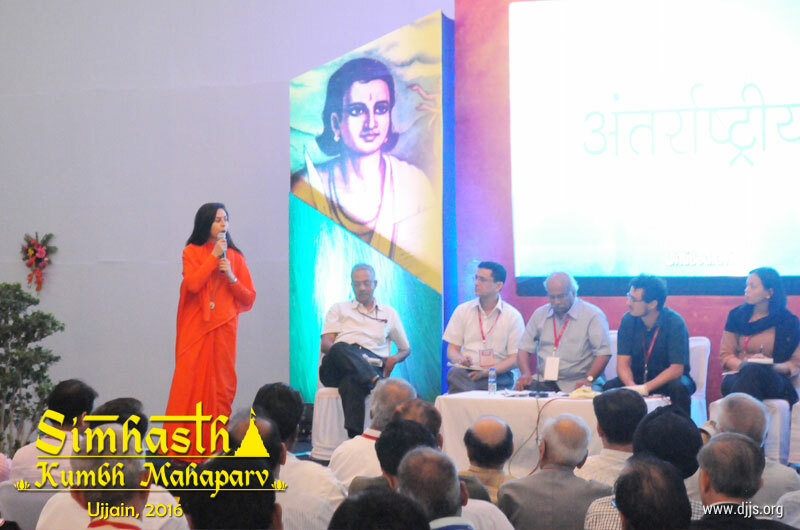 Individuals, who attended the events, gained the spiritual technique of Brahm Gyan practically and shared their experiences with other people across different events. 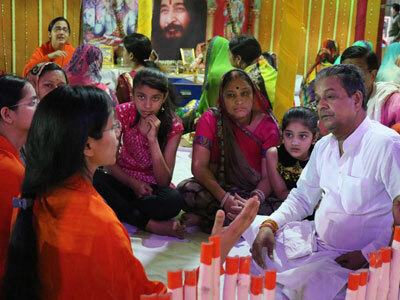 Those who attended Yoga and Ayurvedic sessions testified that the inner peace they had been searching for was only found here through the grace of His Holiness Shri Ashutosh Maharaj Ji. 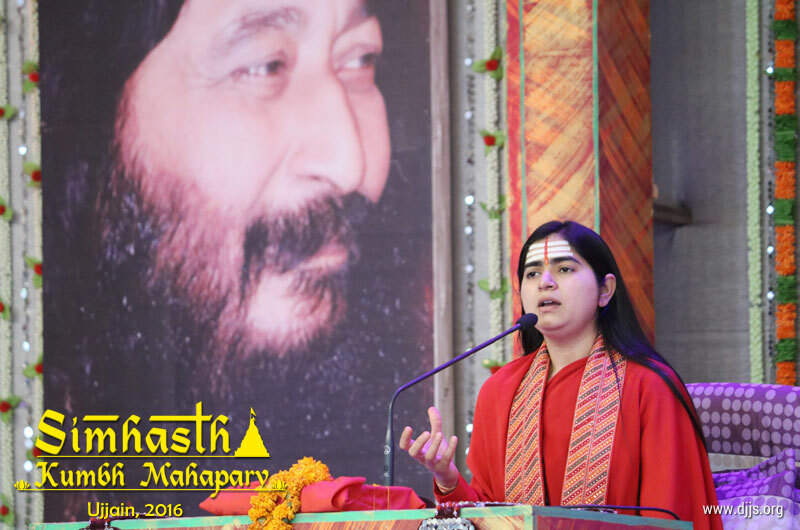 They take home with them the precious knowledge that has transformed their life completely, thereby opening doors to the infinite possibilities of spirituality. 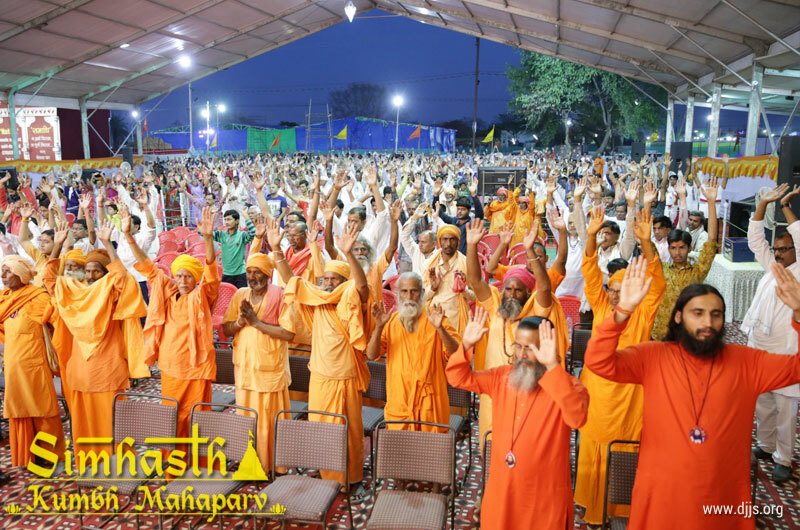 By the grace of Gurudev Ashutosh Maharaj Ji, several selfless volunteers worked day and night in spreading the message of peace and brotherhood throughout Ujjain. 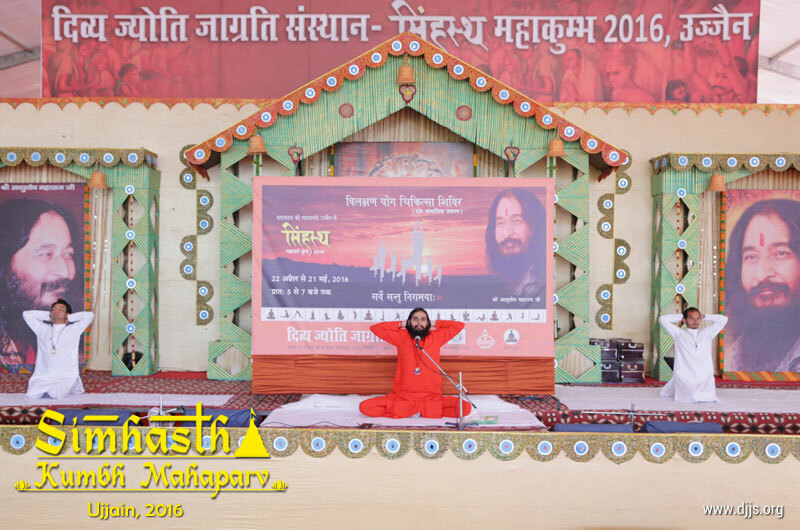 The day started with ‘Meditation’ based on ‘Brahm Gyan’. 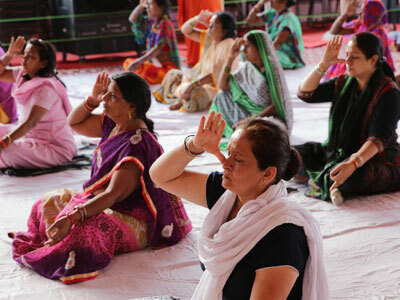 This meditation infused them with new divine energy each day. 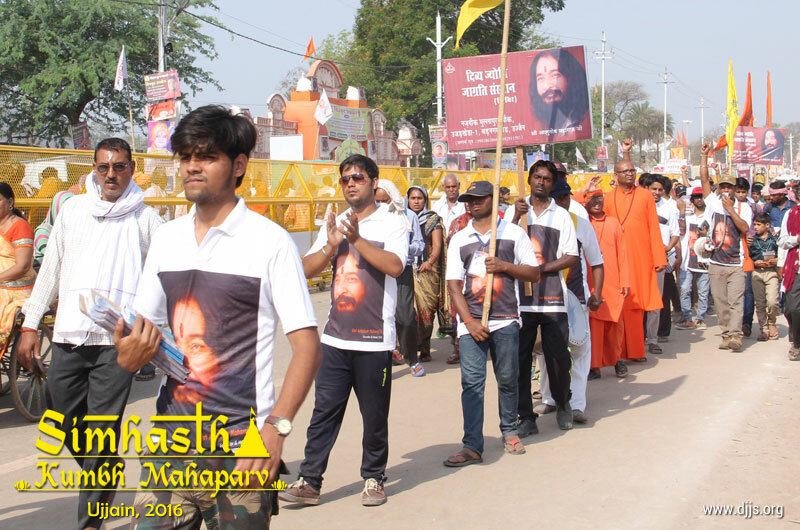 These devoted souls of the Lord were on a clear cut mission, a mission where no one is left untouched with the message of ‘Brahm Gyan’. 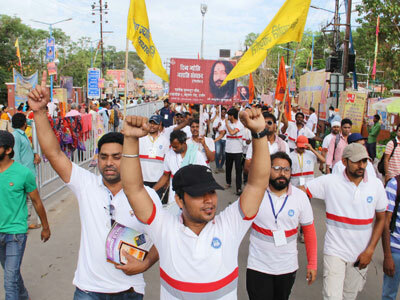 With this single objective in mind, they went door to door, went in different camps, and organized street plays, rallied around holy kshipra river so that humanity can be served. 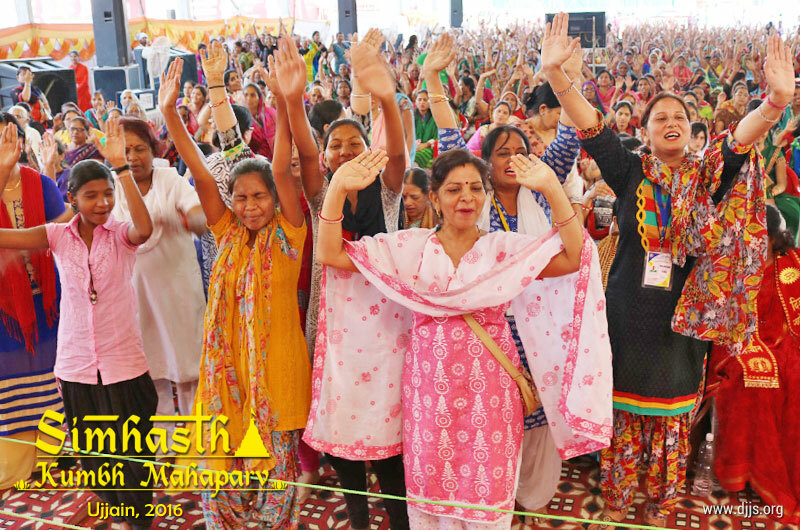 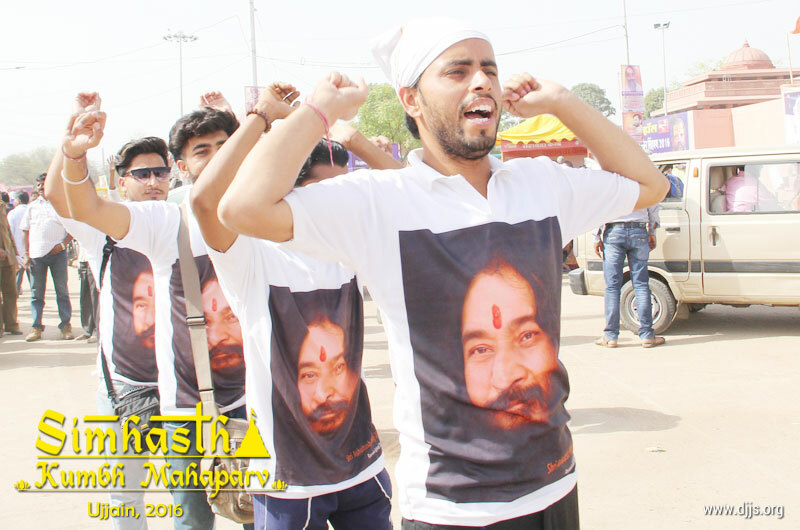 They were donned in similar shirts, personifying grace of Shri Maharaj Ji and met everyone who came their way with slogans, literature, bhajans and short discourses. 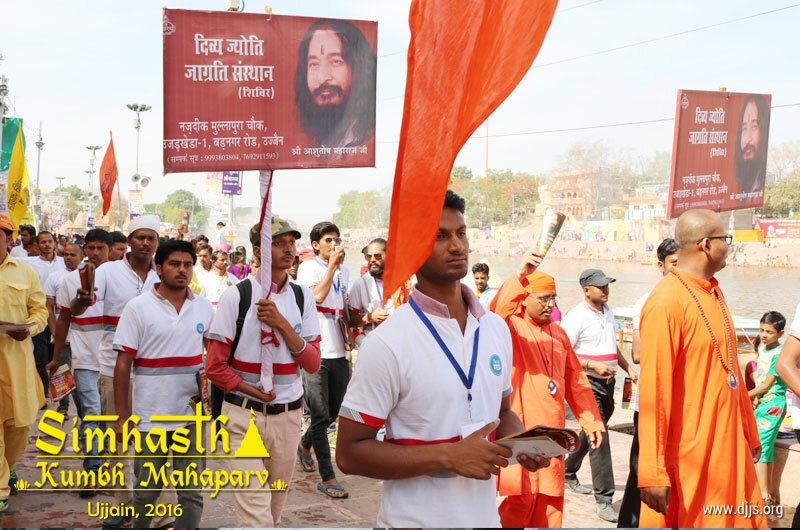 DJJS volunteers, when marched, with zeal and enthusiasm created a wave of positivity and excitement each day the divine rally was conducted at Simhasth Kumbh Mahaparva. 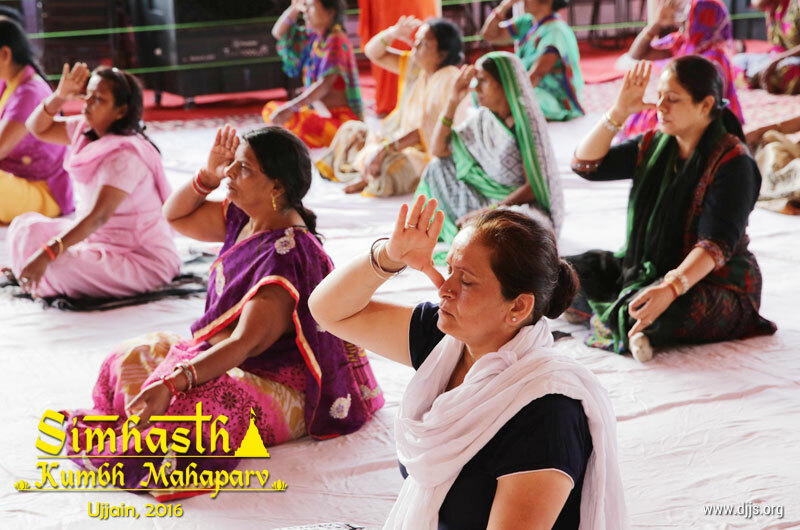 It gave a new high to the onlookers, participants as well as to a devotee. 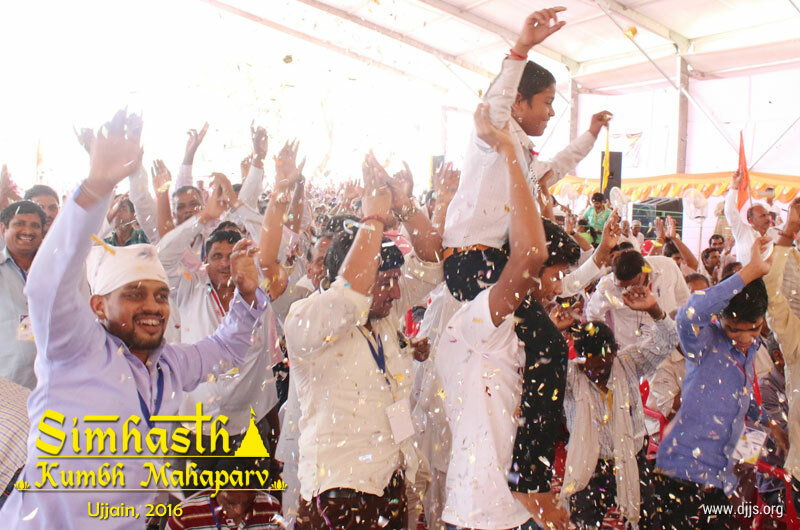 No one was untouched by these infectious moments to the extent that people actually started looking forward for it. 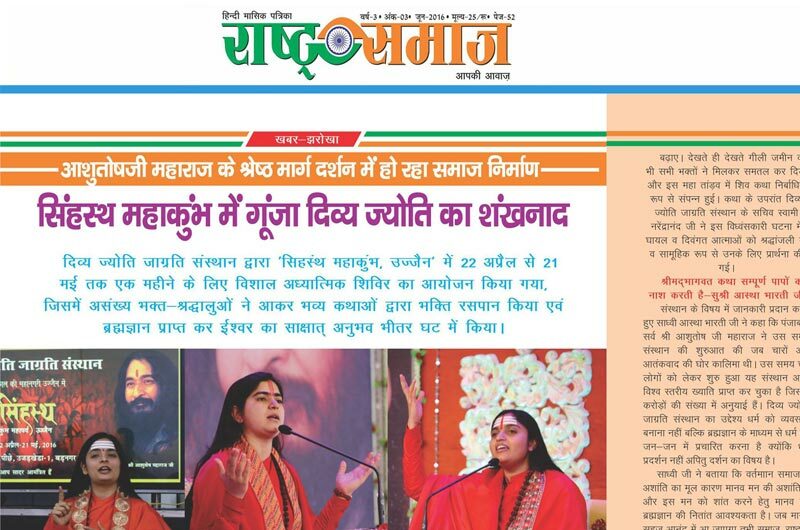 The holy city of Ujjain reverberated with the hymns, bhajans and the profound calling which says ‘Come and BE a part of the bandwagon of peace’. 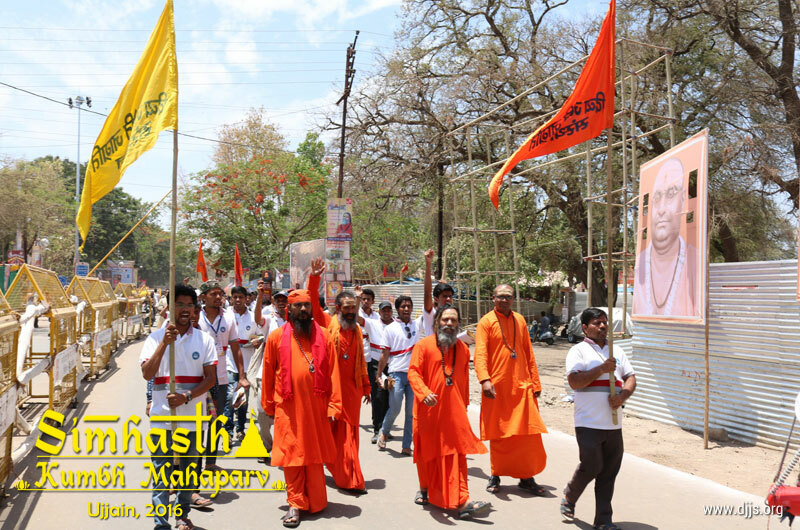 The rallies not only created awareness but successfully engaged with people to bring them to the platform from where spiritual journey can initiate. 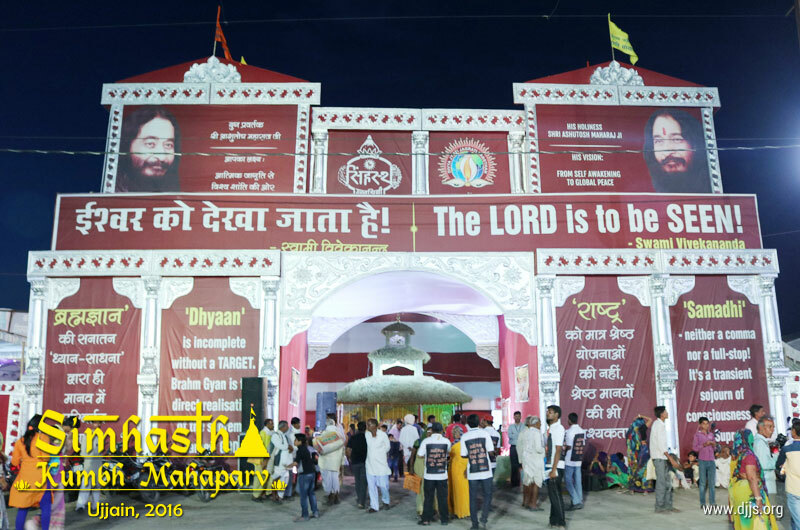 Ujjain has witnessed the largest congregation of peace, harmony and brotherhood and thereby attained a status of true ‘pious city’.